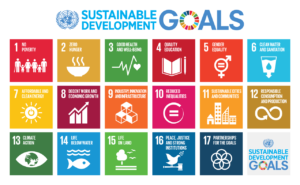 Co-operatives all over the world are engaged in initiatives that will contribute to the achievement of the Sustainable Development Goals. But what is the scope of the co-operative contribution? Who is taking action and how are they communicating their progress? Join this session to learn about the online platform ‘Co-ops for 2030’, a tool for co-operatives to learn about the SDGs, share their initiatives to achieve them and engage as a united movement. This session will present some of the successful initiatives showcased on ‘Co-ops for 2030’ and how those organisations integrate the SDGs into their corporate strategies. Speakers include Jan Anders Lago, President, HSB, Sweden, Board Member of Co-operative Housing International.